Here is a unique chance to sail and race what is probably the most ideal Lake Pleasant boat - the Viper 640. She is fast, fun, manageable and most of all exciting. 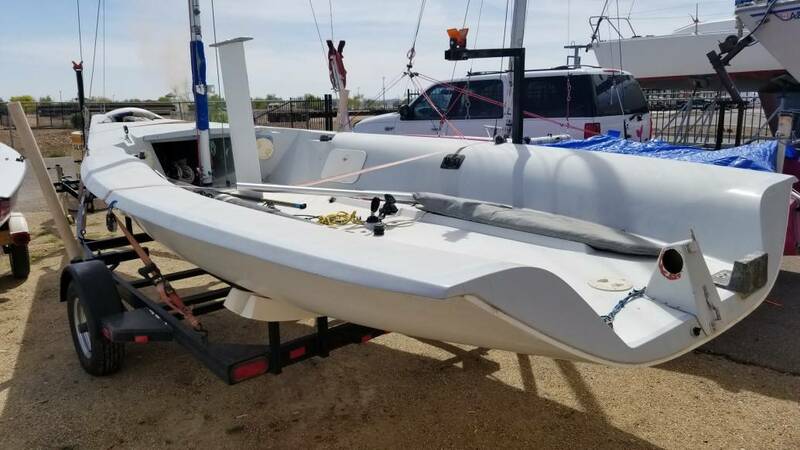 You can sail this boat for 6 months under a fractional ownership program (maximum two skippers) for six months for only $1250 every six months. 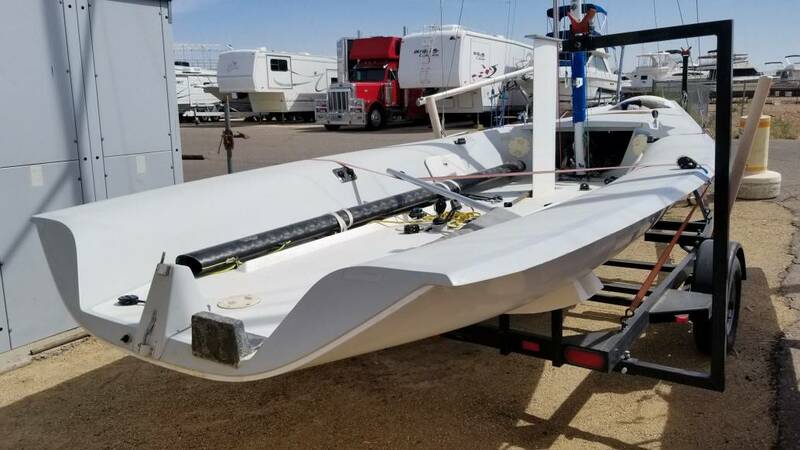 She comes complete with main, jib, spinnaker, new halyards as well as a launching trailer and will always be at Lake Pleasant ready to go. You must be a capable, competent and experienced sailor (this is by no means a 'beginners' boat) to qualify for this offer. 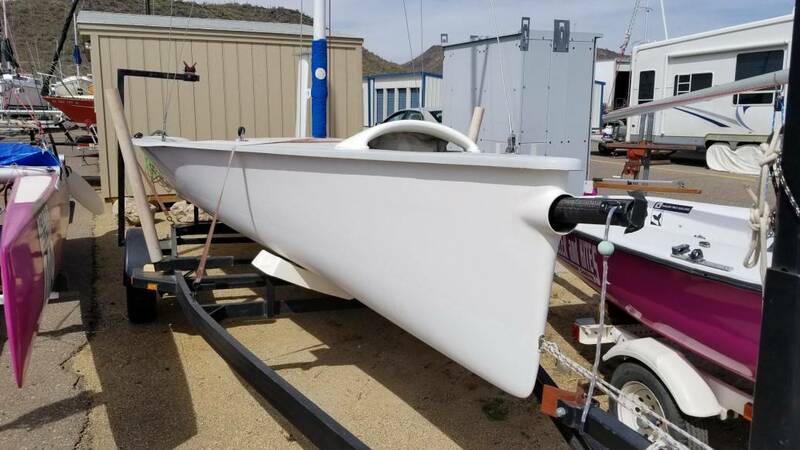 Here is a unique chance to sail and race what is probably the most ideal Lake Pleasant boat - the Viper 640. She is fast, fun, manageable and most of all exciting. 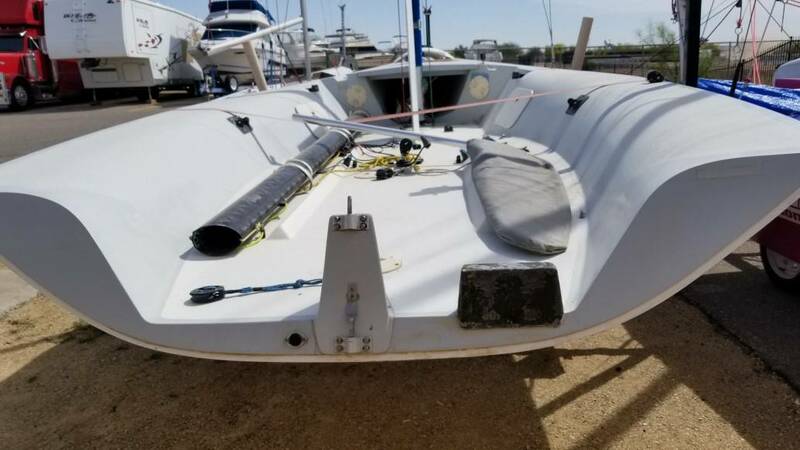 You can sail this boat for 6 months under a fractional ownership program (maximum two skippers) for six months for only $1250 every six months. She comes complete with main, jib, spinnaker, new halyards as well as a launching trailer and will always be at Lake Pleasant ready to go. You must be a capable. competent and experienced sailor (this is by no means a 'beginners' boat) to qualify for this offer.